So how does one go about judging perspective? Is it even appropriate, especially given that we all walk in our own pair of shoes, is there any kind of measurement that we can use to create some kind of standard? Empathy for our fellow humans can only take us so far. Is there a human blueprint or archetype that we can use as a starting point? When I observe the men in my house, a great deal of the time I truly believe that I’m the only sane person in crazy town. Therein lies the rub…is it possible to truly understand perspective when all you have is your own…is there any substantive to point to judge what is truly illusory and crazy? I know there are a million self-help books out there, and I’ve actually read a few…but I’m looking for something more subtle. Is there an underlying beat, deeply embedded in our DNA, that we humans march too? Let’s talk about the Golden Mean. The Golden Mean, or Golden Proportion is a particular construct I’ve used to help me give shape and form to a concept that is usually so illusive. Some of you who read this may be already familiar with this concept and for those of you who aren’t, I’ll explain it to the best of my ability (or you can always look it up in Wikipedia). The Golden proportion is a special proportion deeply rooted in nature, art, math and philosophy that represents harmony and balance. According to ancient history, the Greek mathematician and astronomer Eudoxus of Cnidus (c.370 B.C. ), noted that when he asked his associates to find the most pleasing placement of a crossbar, they naturally did so according to this proportion, 1 to .618. Here is a diagram (great thing, the internet). 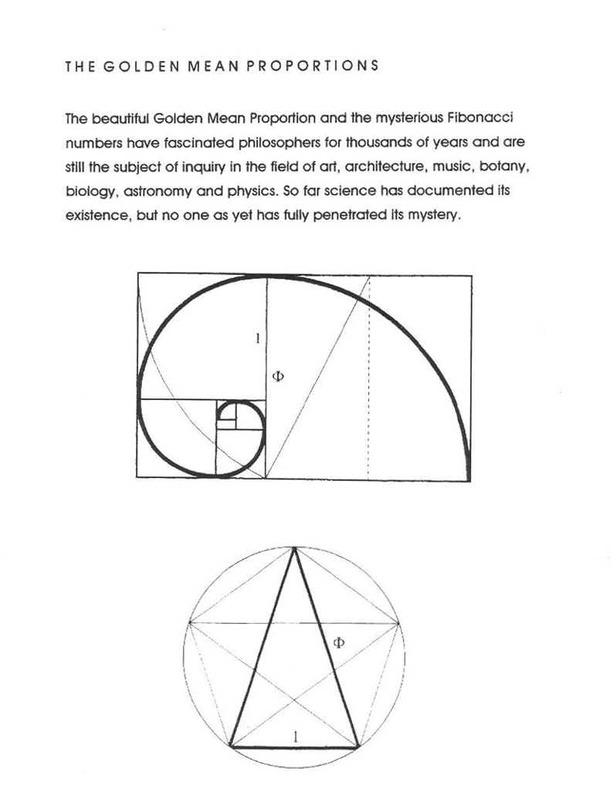 The golden mean is also called PHI (pronounced “fee”, not to be confused with PI) in the language of mathematics. PHI was derived from a sequence of numbers created by a thirteenth century mathematician named Leonardo Fibonacci. 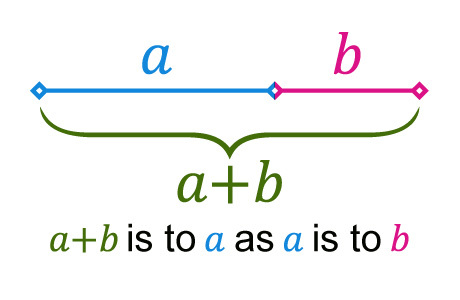 The sequence is a progression in which each term is equal to the sum of the two preceding numbers: 1-1-2-3-5-8-13-21, and the quotients of the adjacent terms possessed the property of achieving the number 1.618, which is PHI, or the golden proportion. PHI is found throughout some of the best architecture in history, including the Great Pyramid and the Parthenon. You’ll see it in art, (a classic Greek urn, da Vinci’s Vitruvian Man) nature, (the spiral of a sea shell) biology, (the proportion of male to female bees in a honeybee community) and music (organizational structures in music or the shape of a violin). What was insightful to me was not that we conceptually understand all the implications of the golden proportion, or mean, but that we, somehow by nature, abide by its rhythm. Somehow we intuitively know this balance point. Up there out in the world, there is a consistent melody that life moves to. There is supposed to be a connection to something larger and I think that we stopped listening to that melody a long time ago. In the human scale, our hearts lie right at the golden proportion point, so it isn’t surprising to me that the heart, not the head is the archetype where true wisdom and love is found. The lack of reliance on intuition, that internal melody evidenced historically by how dominant pure reason became. Reason, historically a male characteristic, has been considered superior to intuition. Think of it, it’s common to tell someone to be reasonable but have you ever heard someone ask you to be intuitive? The general tenor of history has taught that intuition, because it is vague and illusive, is also something that can’t be relied on and is something that should be evolved from, replaced by science and reason, again, probably rooted in that whole “sinful human nature” thing. There is also plenty of examples in history when it was even vilified—note, burning “witches” at the stake. In working to regain a better sense of balance in this world, hence a better perspective, there is nothing to lose by looking at the possibility that “reason” may have shown us just one side of the coin. Visiting the other side of the coin, via my intuition, certainly added clarity and a new dimension to my world. And adding that dimension was as pivotal as learning the world was no longer flat. As a result of remaining fairly ignorant about the power of intuition, I wonder how often we second guess ourselves. The sense of knowing what choice is the right one comes to me by gut instinct far more often than I may realize or accept. The result of weakening the credibility of our inner voice is that it becomes a whole lot easier for the world outside to dictate how we live. As you already may realize, the outside world perpetuates a lot of illusions guaranteed to obstruct clear sight. Without a strong inner voice, it’s easy to succumb to those illusions. Perhaps living from the outside-in is less effective than to root how we live in the world from the inside-out. So, from this point onward, try letting your intuition be your guide in what is presented as only one woman’s take on what lies on the other side of the coin.